14 February 2017. By Neil Roland. Financial technology regulators may need to develop "highly automated" surveillance and hire technology experts if they want to closely monitor risks posed by blockchain and other distributed ledger technologies, an International Organization of Securities Commissions report said. While Iosco is in the early stages of considering how to oversee the nascent technology, the acting head of the US Commodity Futures Trading Commission said last month that US fintech policy should take a "do no harm" approach. Christopher Giancarlo, a leading candidate for permanent CFTC chairman, said US regulators should coordinate to "avoid stifling innovation". The CFTC, an Iosco member, stands to influence any standards ultimately set by the Madrid-based body. The Iosco research report last week said national regulators will have to decide whether they want "more complete and more traceable" real-time records of data produced by emerging ledger technology. "It would require the development of [a] highly automated surveillance function and the hiring of technology experts," the 76-page report said. It noted that some risks recur across the fintech sector, including distributed ledger technologies, or DLT. These risks arise from unlicensed cross-border activity, programming errors in algorithms that underlie automation, and cybersecurity breaches. The report, which made no recommendations, said it is possible that regulators could decide to let "standing filings suffice" rather than try to assure access to extensive real-time data. Some US and European authorities have started to explore regulation of DLT before receiving any Iosco guidance. In the US, the Financial Industry Regulatory Authority sought comment last month on how regulators should guide DLT use in the securities industry while protecting investors and market integrity. 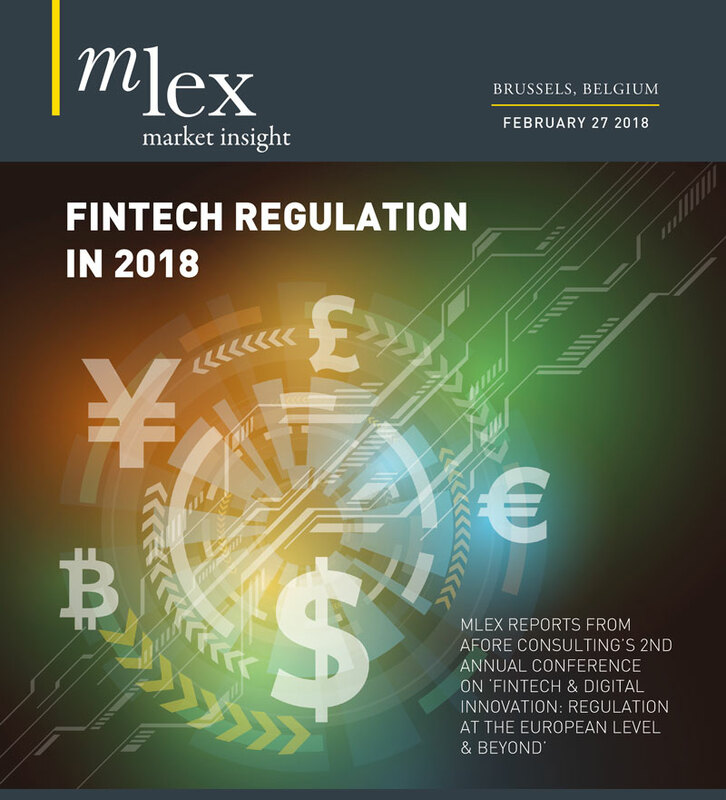 The European Securities and Markets Authority issued a discussion paper last June that analyzes how DLT might fit in the existing EU rulebook, mostly on post-trading issues. Also, the French Parliament last June approved a law that lets some securities vouchers be issued and exchanged on a DLT. Since 2013, over $1.4 billion of venture capital has been spent exploring and implementing DLT. The technology offers a means of transforming how funds are transferred and how securities, commodities, and derivatives are cleared and settled. It involves a distributed database maintained over a network of computers connected peer-to-peer. It has no central administrator or centralized data storage.